The consent agenda, or consent calendar, is a process used in board or legislative type meetings to progress items that are of a non-controversial matter through a meeting quickly and easily. Correctly utilized, consent agendas can help boards with large amounts of routine or small business to dispose of these items without detailed discussion or individual process for each item. Consent agendas allow for boards and other organizations to quickly process simple tasks allowing for ample time to complete complex or controversial discussions on their agendas. Robert’s Rules require that boards that are wishing to use consent agendas or calendars to adopt a policy, rule, or order that allows their agendas to include a consent item. Once approved for use on your agendas the chair of your meetings is authorized to insert elements into the consent agenda that they deem non-controversial or of regular business. Items in the consent agenda are treated almost like an agenda of their own or an agenda within an agenda. That agenda, along with any supporting documentation, gets added to your regular meeting agenda. When the item comes up on the agenda, it merely takes a motion, second and affirmative vote to approve all of the items in the consent agenda. Once the board has approved the use of consent agendas, the standard rules governing their use allows the chair of the committee to add anything they wish to the consent agenda. Care should be taken by the chair not to abuse the use of the consent agenda to rush items through for approval. 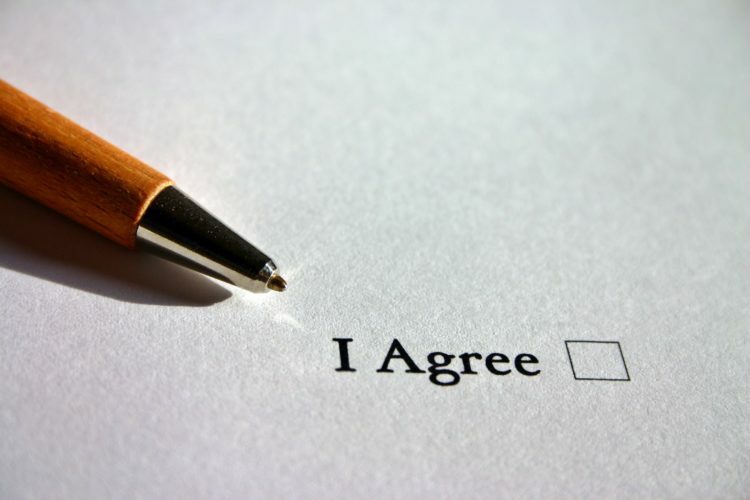 Typically approval of minutes, regular payments, acceptance of grants and donations, and daily business of the organization will be automatically included in the consent section, but your organization may have unique things that need to be added or a process that keeps some normal stuff out of the consent agenda. There is no requirement for putting anything on the consent agenda, and if there is any doubt whether it belongs or not it should typically not be included. Removing an item from a consent agenda is quite simple. It only requires any member of the board to request its removal or discussion on the issue. No second or vote is necessary to remove an item from consent. Once removed from the consent agenda, it should be placed as the next item of discussion in the meeting. From there the board may choose to dispose of the issue as they wish, including tabling the item or taking action on the item after discussion. The key here is that after being removed discussion on that item should happen. Removal of an item from the consent agenda is purposefully simple to help prevent the consent agenda from being used for purposes of taking business that should be discussed out of the discussion of the board. It does, however, require the board to do their research before the meeting as the consent part of the agenda will be quickly disposed of when it comes up. Consent agendas are usually relatively high in the agenda timeline of a meeting. Because matters in the consent agenda are routine but necessary items of business, these items should be taken care of quickly in the agenda to avoid delay in their approval. If minutes approval is included in the consent agenda it should be among the first things on the agenda to ensure minutes are approved before proceeding with new business before closing out old business. While the location of the consent agenda in the timeline is entirely up to you, it is recommended that you make it the earliest convenient place in your proceedings. There are some different interpretations of the rules governing consent agendas and their use. Robert’s Rules of Order provides some guidance saying that the chair can place items in the consent agenda, it only takes one person to remove something from the consent agenda, and clarifying that if consent agenda’s carry minutes approval they must be first. Beyond that many of the rules that govern the use of consent agendas depend on how the rule or order that allows the consent agendas to be used is worded. Careful consideration should be taken to ensure that consent agenda usage allows for a fair process and doesn’t allow the chair of the board to place items on the consent agenda to avoid public or private discussion. As an example, if you wrote a rule saying that a motion and second with an affirmative vote was required to remove something from the consent agenda, you create a situation where a small group of the board could pass resolutions or approvals without any discussion about the item. Appropriate rulemaking can prevent this railroading tactic for the use of consent agendas. Consent agendas provide a streamlined process for the non-controversial and regular business of a board. 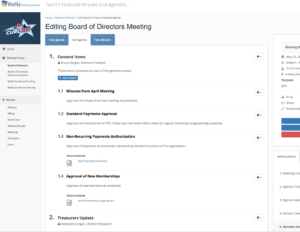 These tools, when appropriately implemented allow your board to focus on the critical tasks during your meeting making you more efficient and effective as a governing body. From homeowners associations to school boards and even legislative bodies consent agendas provide a useful means for conducting regular business.